It was hardly a surprise to see Rasmus Ristolainen selected to skate for Team Finland’s entry at the World Cup of Hockey 2016 tournament. After all, he’s been golden – literally - for his country. When the Finnish Ice Hockey Federation announced the first 16 players that will wear the Suomi jersey at this fall’s much-anticipated eight-team, best-on-best tournament, the 21-year-old Ristolainen was one of those who made the cut. Aside from his strong play as part of the Buffalo Sabres defensive corps, the eighth overall pick in 2013 has also had a starring role on the international stage. In 2014, it was Ristolainen who delivered Finland a gold medal at the World Junior Championships (WJC) with an overtime tally against rival Sweden. “I saw that they played man-on-man defence in their own end," Ristolainen said to the media. "It was empty in front of the net. I just skated there. I tried to put the puck somewhere hard and it went in." It was Finland’s first World Junior title since 1998. Come this September in Toronto, Ristolainen will get another crack at international gold. Finland’s first test at the World Cup of Hockey comes against Team North America, a squad that includes his Buffalo teammate, Jack Eichel. So, just what exactly does Ristolainen bring to the table? He also has some offensive pop. 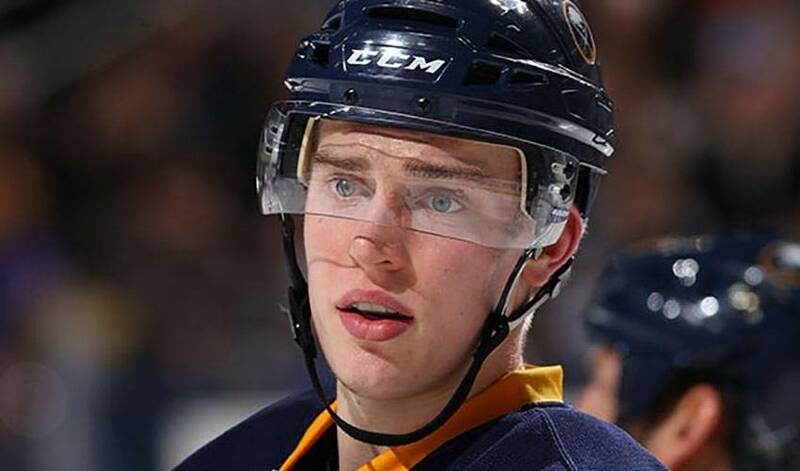 Although Buffalo didn’t make the playoff cut this season, Ristolainen is one of many reasons why the Sabres appear primed for post-season play in the near future. The young blueliner, who has already reached the 40-point mark in 2015-16, is up for the challenge. It also helps when your role model happens to be one of the best defencemen on the planet. Small wonder that Buffalo and Finland both think the world of their rising star d-man.